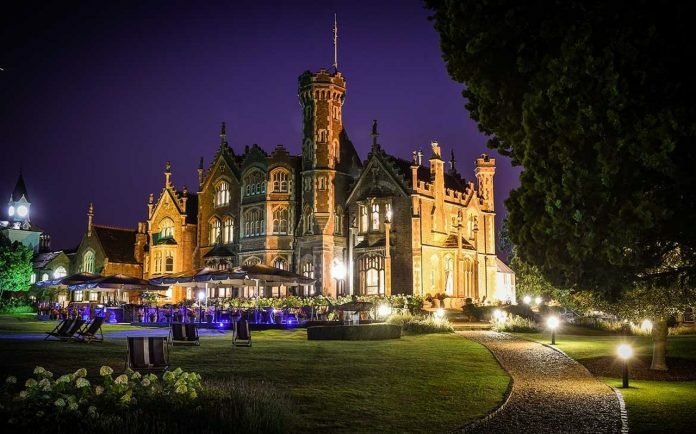 On the banks of the River Thames in Water Oakley, a short distance from Windsor and Heathrow, is a Victorian gothic mansion of epic proportions. A popular setting for film shoots, including five Hammer horror movies and the Rocky Horror Picture Show, and TV series like Law and Order, Oakley Court certainly has star qualities. Queen Elizabeth II visited for the annual swan upping, and the hotel was also the base for Team GB rowers during the 2012 Olympics. Oakley Court is at the end of a long private drive, and so it feels as if you are staying at someone’s country house. The main building is suitably imposing, especially when lit up at night, and it is surrounded by extensive grounds. The lawns run straight down to the river, and you can even borrow bikes to get around. Beware the territorial swans: they guard the riverbank fiercely! 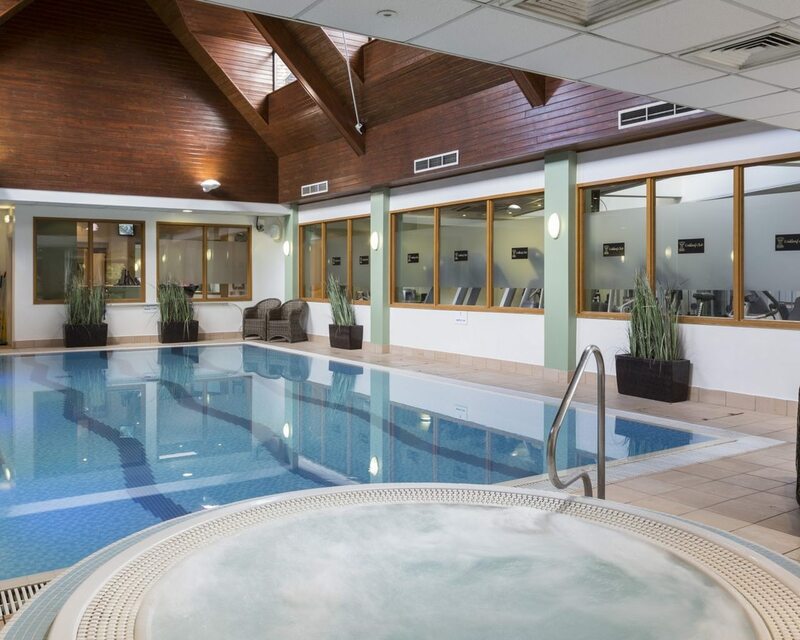 Guests of all ages are likely to fall in love with Oakley Park, but this hotel is particularly well suited for families travelling with young children. Firstly, there is a huge amount of outdoor space where kids can run off some energy, and there’s are also tennis courts and a swimming pool. The staff tell gory tales about the horror films shot here — designed to thrill and scare in equal measure — and the house has hundreds of nooks and crannies for hide and seek. Oakley Park offers young guests a sleepover package with crayons and a colouring book, an Oakley bear, mini bathrobes, and a bedtime milk and cookie, and the popular afternoon tea can also be scaled down for child-sized appetites. Although some of Oakley Court’s 118 rooms are in the historic main house, the majority are in purpose-built buildings within the grounds. These don’t have the character of the mansion, but the upside is that they are more spacious, light, and have all the amenities a modern traveller requires. We stayed in a large Character Twin, with views across Oakley Court’s lawns. The beds were large and bouncy, and came with a lavender-scented pillow spray said to help you sleep. An Oakley Court bear sat on the desk, keeping us company. There were separate sleeping and seating areas — it was really like having two rooms rather than one — and the bathroom was substantial as well. Everything was immaculately clean and well-organised. There are a huge range of facilities at Oakley Court, and you’d need to spend days to make full use of them all. The Vitality Club is attached to the hotel and has an indoor pool, tennis courts, fitness centre, and nine-hole golf course. There are a steam room, sauna, and jacuzzi in the spa, a snooker room, and you can also borrow bikes and wellies if you want to be active outside. If you’re planning a business event, Oakley Court has meeting and conference rooms, too. Try not to eat for several days before you visit Oakley Court: you’ll want to be as hungry as possible when you arrive, because you’re going to be eating constantly. First of all there are the breakfasts: the buffet is one of the most extensive we’ve seen. You can make your own waffles, there’s a tuck-shop for children, and delicious hot dishes are also cooked to order. It’ll definitely set you up for the day. The hotel offers its afternoon tea, which is available with and without Champagne. A child-sized portion is also on offer. The combinations of a pot of tea, finger sandwiches, and homemade scones and cake, all served outside at a table by the Thames, really is the best of British. In the evening, The Dining Room offers a fine dining menu but in a relaxed setting: there’s no need to dress for dinner. Favourite British dishes are served with aplomb, often using local ingredients. We finished the evening with a nightcap (or two) in the atmospheric bar. The cocktail creations were sublime, and guaranteed we slept well. Oakley Court is right on the River Thames, and the Thames Path is one of the best long-distance walks in the UK, even if you only walk a section of it. The tourist sites of Windsor, particularly Windsor Castle and Windsor Great Park, are within easy reach, and we also highly recommend a visit to Dorney Court, especially if you combine it with a walk around Dorney Lake. Double rooms start from £178 when booked through the website, and a dinner, bed, and breakfast package for two people costs from £262. Oakley Court offers pretty good value for money, especially given its proximity to London. If you can get one of the Director’s Suites in the main house, you really will be living the dream; otherwise one of the modern rooms and suites is the next best thing. 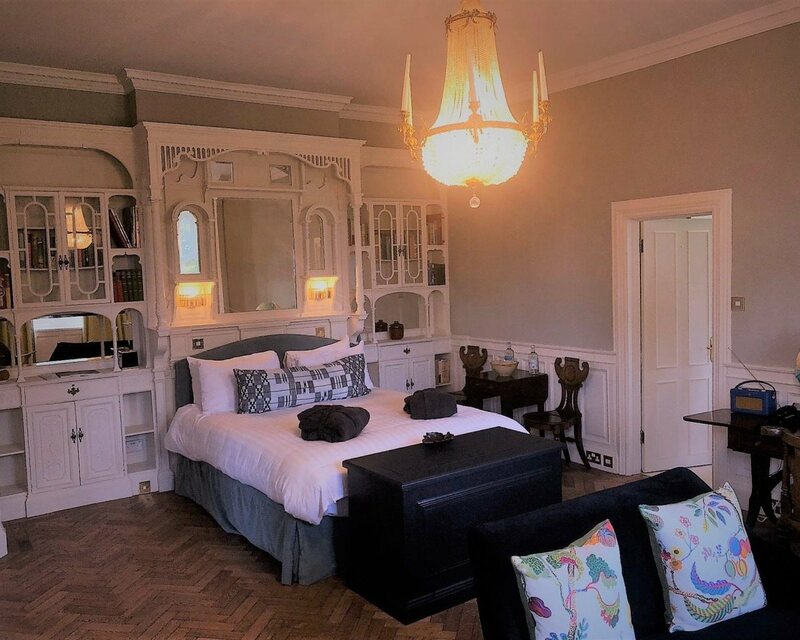 Film buffs and families will adore their stay at Oakley Court, and it’s likely everyone else will fall for its charms as well. The architecture and history of the place are perfectly complimented by the riverside location, making this a wonderful hotel in which to stay.